It’s being to feel a lot like Christmas thanks to Operation Christmas at Sea. Operation Christmas at Sea is a project that works to collect and fill shoebox care packages and ship them off to the Sailors and Marines aboard the USS Arlington for the holidays. This idea was brought to the table by Blair Milo, former La Porte mayor and current Secretary of Career Connections and Talent, and one of her former shipmates, CDR Greg Grubbs. Grubbs is the Executive Officer aboard the Arlington. Milo and Grubbs were deployed together and know how hard it can be to be away from home over the holidays. “The year we were deployed together the Bethany Lutheran Church family sent shoeboxes to the 330 sailors on our ship, and it made the season brighter for every Sailor on our ship to have that kind of love and support from a community where every Sailor got a holiday present, we and wanted to share that joy with the Sailors and Marines of the USS Arlington who are putting their country first this holiday season,” Milo said. These shoe boxes are filled with non-perishable items and snacks for the Sailors and Marines serving aboard the ship. Some examples of items the Sailors and Marines find enjoyable are ramen noodles and microwave popcorn. Personal items would also be greatly appreciated like deodorant and sunscreen. The shoeboxes are currently being collected now up until Veterans Day. Bethany Lutheran Church, Best Western, the Civic Auditorium, and/or Suds on State laundromat are all accepting shoebox donations. 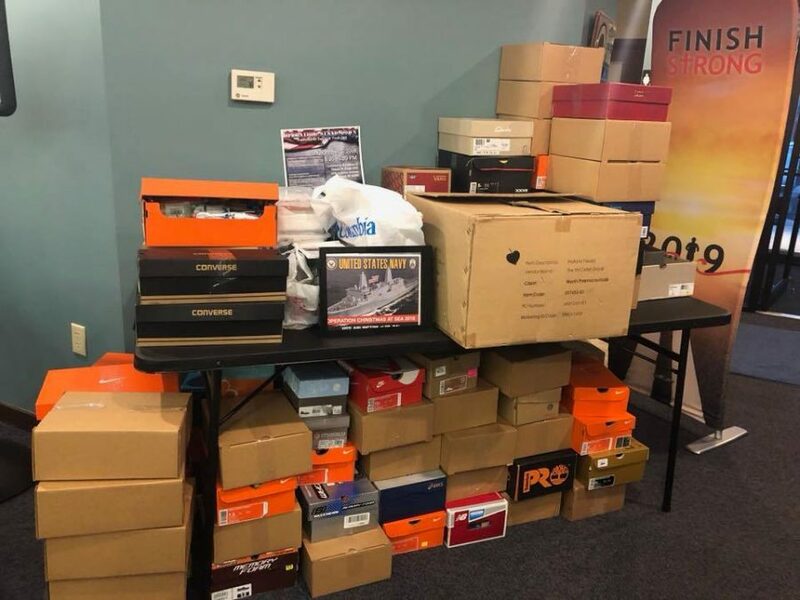 They are accepting financial donations as well if anyone is unable to fill a shoebox. The money collected from donations would be greatly appreciated to help buy items to include in the boxes and cover shipping costs. There are empty boxes available at the Civic. “Having a shoebox with some treats because a stranger appreciates your service enough to send it helps remind Sailors and Marines that the sacrifice they’re making is appreciated and exemplifies what the season is truly about,” Milo said. These care packages have a great impact on the many Sailors and Marines aboard the USS Arlington. The holidays are a special time to be spent with loved ones, and if these heroes have to be away, it’s important that some love is shipped their way.